Christianity is a minority religion in Egypt. Egyptian Christians, nearly all of whom are Copts (adherents of the Coptic Orthodox Church or other Coptic churches), most likely account for about 10% of the country's population, though different sources' estimates have ranged from 3% to 20%. [note 1]While a minority within Egypt, Egypt's Christian population is the largest in absolute numbers in the Middle East and North Africa. The history of Christianity in Egypt dates to the Roman era. Alexandria was an early center of Christianity. The vast majority of Egyptian Christians are Copts. The word "Copt" is indirectly derived from the Greek Αἰγύπτιος Aigýptios meaning simply "Egyptian". Over 95% of Egyptian Christians belong to the Coptic Orthodox Church of Alexandria, an Oriental Orthodox Church. The Coptic Church constitute the largest Christian community in the Middle East and has approximately 4 to 8 million followers in Egypt, in addition to 1 to 2 million abroad, but no one really knows since there has never been a census. 10% is the generally accepted figure, but it may be higher. The actual number may be between 11-13 million according to an article cited in Coptic Christianity in Egypt. Other estimates of the ethnic Coptic population within Egypt range between 9 and 15 million. The Coptic Orthodox Church is headed by the Pope of Alexandria and Patriarch of All Africa on the Holy See of Saint Mark, currently Pope Theodoros II. Affiliated sister churches are located in Armenia, Ethiopia, Eritrea, India, Lebanon and Syria. Other native Egyptian Christians are adherents of the Coptic Catholic Church, the Coptic Evangelical Church and various Coptic Protestant denominations. 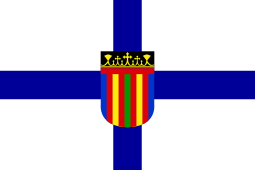 Non-native Christian communities are largely found in the urban regions of Alexandria and Cairo, and are members of the Greek Orthodox Church of Alexandria, the Melkite Greek Catholic Church, the Armenian Apostolic Church, the Latin Catholic Church, the Episcopal Church in Jerusalem and the Middle East, the Maronite Church, the Armenian Catholic Church, the Chaldean Catholic Church, the Syriac Catholic Church, or the Syriac Orthodox Church. Scattered among the various churches are a number of believers in Christ from a Muslim background. A 2015 study estimates some 14,000 such believers in Egypt. By AD 300 it is clear that Alexandria was one of the great Christian centres. The Christian apologists Clement of Alexandria and Origen both lived part or all of their lives in that city, where they wrote, taught, and debated. With the Edict of Milan in 313, Constantine I ended the persecution of Christians. Over the course of the 4th century, paganism was suppressed and lost its following, as the poet Palladius bitterly noted. Graffiti at Philae in Upper Egypt proves worship of Isis persisted at its temples into the 5th century. Many Egyptian Jews also became Christians, but many others refused to do so, leaving them as the only sizable religious minority in a Christian country. Alexandria became the centre of the first great schism in the Christian world, between the Arians, named for the Alexandrian priest Arius, and their opponents, represented by Athanasius, who became Archbishop of Alexandria in 326 after the First Council of Nicaea rejected Arius's views. The Arian controversy caused years of riots and rebellions throughout most of the 4th century. In the course of one of these, the great temple of Serapis, the stronghold of paganism, was destroyed. Athanasius was alternately expelled from Alexandria and reinstated as its Archbishop between five and seven times. Another religious development in Egypt was the monasticism of the Desert Fathers, who renounced the material world in order to live a life of poverty in devotion to the Church. 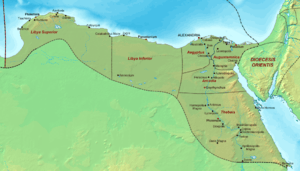 Under Muslim rule, the ethnic Copts were cut off from the main stream of Christianity, and were compelled to adhere to the Pact of Umar covenant. They were assigned to Dhimmi status. Their position improved dramatically under the rule of Muhammad Ali in the early 19th century. He abolished the Jizya (a tax on non-Muslims) and allowed ethnic Copts to enroll in the army. Pope Cyril IV, 1854–61, reformed the church and encouraged broader Coptic participation in Egyptian affairs. Khedive Isma'il Pasha, in power 1863–79, further promoted the Copts. He appointed them judges to Egyptian courts and awarded them political rights and representation in government. They flourished in business affairs. Some ethnic Copts participated in the Egyptian national movement for independence and occupied many influential positions. Two significant cultural achievements include the founding of the Coptic Museum in 1910 and the Higher Institute of Coptic Studies in 1954. Some prominent Coptic thinkers from this period are Salama Moussa, Louis Awad and Secretary General of the Wafd Party Makram Ebeid. In 1952, Gamal Abdel Nasser led some army officers in a coup d'état against King Farouk, which overthrew the Kingdom of Egypt and established a republic. Nasser's mainstream policy was pan-Arab nationalism and socialism. The ethnic Copts were severely affected by Nasser's nationalization policies, though they represented about 10–20% of the population. 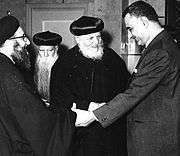 In addition, Nasser's pan-Arab policies undermined the Copts' strong attachment to and sense of identity about their Egyptian pre-Arab, and certainly non-Arab identity which resulted in permits to construct churches to be delayed along with Christian religious courts to be closed. Many Coptic intellectuals hold to "Pharaonism," which states that Coptic culture is largely derived from pre-Christian, Pharaonic culture, and is not indebted to Greece. 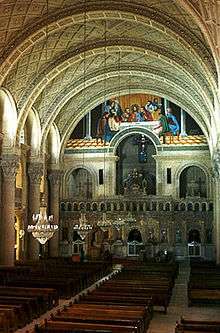 It gives the Copts a claim to a deep heritage in Egyptian history and culture. Pharaonism was widely held by Coptic and Muslim scholars in the early 20th century, and it helped bridge the divide between those groups. Most scholars today see Pharaonism as a late development shaped primarily by western Orientalism, and doubt its validity. Religious freedom in Egypt is hampered to varying degrees by discriminatory and restrictive government policies. Coptic Christians, being the largest religious minority in Egypt, are also negatively affected. Copts have faced increasing marginalization after the 1952 coup d'état led by Gamal Abdel Nasser. Until recently, Christians were required to obtain presidential approval for even minor repairs in churches. Although the law was eased in 2005 by handing down the authority of approval to the governors, Copts continue to face many obstacles and restrictions in building new churches. These restrictions do not apply for building mosques. The Coptic community has been targeted by hate crimes resulting in Copts being victims of murder by Islamic extremists. The most significant was the 2000–01 El Kosheh attacks, in which Muslims and Christians were involved in bloody inter-religious clashes following a dispute between a Muslim and a Christian. "Twenty Christians and one Muslim were killed after violence broke out in the town of el-Kosheh, 440 kilometres (270 mi) south of Cairo". International Christian Concern reported that in February 2001, Muslims burned a new Egyptian church and the homes of 35 Christians, and that in April 2001 a 14-year-old Egyptian Christian girl was kidnapped because her parents were believed to be harboring a person who had converted from Islam to Christianity. In 2006, one person attacked three churches in Alexandria, killing one person and injuring 5–16. The attacker was not linked to any organisation and described as "psychologically disturbed" by the Ministry of Interior. In May 2010, The Wall Street Journal reported increasing waves of mob attacks by Muslims against ethnic Copts. Despite frantic calls for help, the police typically arrived after the violence was over. The police also coerced the Copts to accept "reconciliation" with their attackers to avoid prosecuting them, with no Muslims convicted for any of the attacks. In Marsa Matrouh, a Bedouin mob of 3,000 Muslims tried to attack the city's Coptic population, with 400 Copts having to barricade themselves in their church while the mob destroyed 18 homes, 23 shops and 16 cars. Members of U.S. Congress have expressed concern about "human trafficking" of Coptic women and girls who are victims of abductions, forced conversion to Islam, sexual exploitation and forced marriage to Muslim men. Boutros Boutros-Ghali is a Copt who served as Egypt's foreign minister under President Anwar Sadat. Today, only two Copts are on Egypt's governmental cabinet: Finance Minister Youssef Boutros Ghali and Environment Minister Magued George. There is also currently one Coptic governor out of 25, that of the upper Egyptian governorate of Qena, and the first Coptic governor in a few decades. In addition, Naguib Sawiris, an extremely successful businessman and one of the world's 100 wealthiest people, is a Copt. In 2002, under the Mubarak government, Coptic Christmas (January 7) was recognized as an official holiday. However, many Copts continue to complain of being minimally represented in law enforcement, state security and public office, and of being discriminated against in the workforce on the basis of their religion. Most Copts do not support independence or separation movement from other Egyptians. 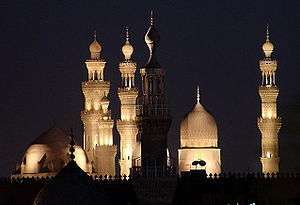 While freedom of religion is guaranteed by the Egyptian constitution, according to Human Rights Watch, "Egyptians are able to convert to Islam generally without difficulty, but Muslims who convert to Christianity face difficulties in getting new identity papers and some have been arrested for allegedly forging such documents." The Coptic community, however, takes pains to prevent conversions from Christianity to Islam due to the ease with which Christians can often become Muslim. Public officials, being conservative themselves, intensify the complexity of the legal procedures required to recognize the religion change as required by law. Security agencies will sometimes claim that such conversions from Islam to Christianity (or occasionally vice versa) may stir social unrest, and thereby justify themselves in wrongfully detaining the subjects, insisting that they are simply taking steps to prevent likely social troubles from happening. In 2007, a Cairo administrative court denied 45 citizens the right to obtain identity papers documenting their reversion to Christianity after converting to Islam. However, in February 2008 the Supreme Administrative Court overturned the decision, allowing 12 citizens who had reverted to Christianity to re-list their religion on identity cards, but they will specify that they had adopted Islam for a brief period of time. The Egyptian Census of 1897 reported the percentage of Non-Muslims in Urban Provinces as 14.7% (13.2% Christians, 1.4% Jews). The Egyptian Census of 1986 reported the percentage of Non-Muslims in Urban Provinces as 6.1% (5.7% Christians, 0% Jews). The decline in the Jewish representation is interpreted through the creation of the state of Israel, and the subsequent emigration of the Egyptian Jews. There is no explanation for a 55% decline in the percentage of Christians in Egypt. It has been suggested that Egyptian censuses held after 1952 have been politicized to under-represent the Christian population. In August 2013, following the 3 July 2013 Coup and clashes between the military and Morsi supporters, there were widespread attacks on Coptic churches and institutions in Egypt by Sunni Muslims. According to at least one Egyptian scholar (Samuel Tadros), the attacks are the worst violence against the Coptic Church since the 14th century. In December … Brotherhood leaders began fomenting anti-Christian sectarian incitement. The anti-Coptic incitement and threats continued unabated up to the demonstrations of June 30 and, with the removal of President Morsi … morphed into sectarian violence, which was sanctioned by … the continued anti-Coptic rhetoric heard from the group's leaders on the stage … throughout the sit-in. On February 25, 2016 an Egyptian court convicted four Coptic Christian teenagers for contempt of Islam, after they appeared in a video mocking Muslim prayers. ↑ No one has exact numbers. The CIA Fact Book estimates 10% (2012) while the Washington Report on Middle East Affairs states in 1997, "Estimates of the size of Egypt's Christian population vary from the low government figures of 6 to 7 million to the 12 million reported by some Christian leaders. The actual numbers may be in the 9 to 9.5 million range, out of an Egyptian population of more than 60 million" which yields an estimate of about 10-20% then. Several sources give 10-20%. The British Foreign Office gives a figure of 9%. The LookLex web site gives 10% but notes that other sources range from 3% to 20% The Christian Post in 2004 quotes the U.S. Copt Association as reporting 15% of the population as native Christian. 1 2 "Egypt from "U.S. Department of State/Bureau of Near Eastern Affairs"". United States Department of State. September 30, 2008. 1 2 3 "Egypt from "Foreign and Commonwealth Office"". Foreign and Commonwealth Office -UK Ministry of Foreign Affairs. August 15, 2008. ↑ Who are the Christians in the Middle East?. Betty Jane Bailey. June 18, 2009. ISBN 978-0-8028-1020-5. ↑ Cole, Ethan (July 8, 2008). "Egypt's Christian-Muslim Gap Growing Bigger". The Christian Post. Retrieved 2008-10-02. ↑ "Egyptian Copts reject population estimate - Politics - Egypt - Ahram Online". english.ahram.org.eg. Retrieved 2015-12-14. ↑ Johnstone, Patrick; Miller, Duane Alexander (2015). "Believers in Christ from a Muslim Background: A Global Census". 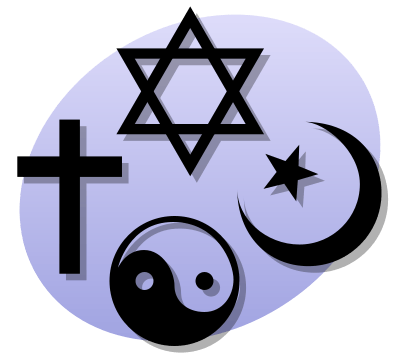 Interdisciplinary Journal of Research on Religion. 11: 14. Retrieved 20 October 2015. ↑ Tour Egypt. Feature Stories: Coptic Orthodox Christians. Accessed 10-13-2008. 1 2 3 4 5 6 7 8 9 10 "Egypt Religions & Peoples from "LOOKLEX Encyclopedia"". LookLex Ltd. September 30, 2008. 1 2 "The Copts and Their Political Implications in Egypt". Washington Institute for Near East Policy. October 25, 2005. ↑ "Controversy in Egypt after a prominent church figure declared the number of Copts in Egypt exceeds 12 million". November 2, 2008. ↑ "Pope Shenouda III declares to a TV station that the number of Copts in Egypt exceeds 12 million". October 29, 2008. 1 2 Nisan, Mordechai (2002). Minorities in the Middle East. McFarland. p. 144. ISBN 978-0-7864-1375-1. ↑ van der Vliet, Jacques (June 2009), "The Copts: 'Modern Sons of the Pharaohs'? ", Church History & Religious Culture, 89 (1–3): 279–90, doi:10.1163/187124109x407934 . ↑ Reid, Donald Malcolm (2003). "7". Whose Pharaohs? : Archaeology, Museums, and Egyptian National Identity from Napoleon to World War I. U. of California Press. pp. 258ff. ↑ WorldWide Religious News. Church Building Regulations Eased Archived March 18, 2009, at the Wayback Machine.. December 13, 2005. ↑ Compass Direct News. Church Building Regulations Eased. December 13, 2005. ↑ "Egyptian court orders clashes retrial". BBC News. July 30, 2001. ↑ "Copts Under Fire". The Free Lance-Star. November 23, 2002. Retrieved June 10, 2011. ↑ Miles, Hugh (April 15, 2006). "Coptic Christians attacked in churches". London: The Telegraph. Retrieved 2008-10-07. ↑ BBC. Egypt church attacks spark anger, April 15, 2006. 1 2 3 Zaki, Moheb (May 18, 2010). "Egypt's Persecuted Christians". The Wall Street Journal. Retrieved June 4, 2010. ↑ Abrams, Joseph (April 21, 2010). "House Members Press White House to Confront Egypt on Forced Marriages". foxnews.com. Retrieved November 8, 2010. ↑ ArabicNews.com. Copts welcome Presidential announcement on Eastern Christmas Holiday Archived September 30, 2007, at the Wayback Machine.. December 20, 2002. ↑ Freedom House. Egypt's Endangered Christians. Archived June 24, 2006, at the Wayback Machine. ↑ Coptic Pharaonic Republic Archived February 18, 2009, at the Wayback Machine. ↑ Human Rights Watch. World report 2007: Egypt Archived September 28, 2008, at the Wayback Machine..
↑ Audi, Nadim (February 11, 2008). "Egyptian Court Allows Return to Christianity". The New York Times. Retrieved 2008-10-07. ↑ Associated Press. Egypt court upholds right of converted Muslims to return to Christianity Archived November 21, 2011, at the Wayback Machine.. 2008-02-09. ↑ AFP. Egypt allows converts to revert to Christianity on ID Archived April 16, 2009, at the Wayback Machine.. February, 2008. ↑ Chulov, Martin (Aug 15, 2013). "Egypt's Coptic Christians report fresh attacks on churches: Christian leaders blame Muslim Brotherhood supporters for arson and other attacks, including shooting death of teenage girl". The Guardian. Retrieved 2013-08-16. ↑ Khairat, Mohamed (Aug 16, 2013). "Coptic churches burn amid violence in Egypt: Coptic Christians call for greater protection as wave of violence sweeps across Egypt". Egyptian Streets. Retrieved 2013-08-16. 1 2 3 Powers, Kirsten. "The Muslim Brotherhood's War on Coptic Christians". Aug 22, 2013. Daily Beast. Retrieved 22 August 2013. ↑ "FJP Helwan Facebook page on church attacks". August 16, 2013. —mbinenglish. Retrieved 22 August 2013. ↑ "Joint Press Release: Non-peaceful assembly does not justify collective punishment - Rights groups condemn lethal violence against those in sit-in and terrorist acts of the Muslim Brotherhood". 15 August 2013. Egyptian Initiative for Personal Rights. Retrieved 22 August 2013. ↑ Michael | AP, Maggie (2016-02-25). "Egypt sentences 4 Coptic teenagers for contempt of Islam". The Washington Post. ISSN 0190-8286. Retrieved 2016-02-25. ↑ "Egypt from "The World Factbook"". American Central Intelligence Agency (CIA). June 22, 2014. ↑ Wagner, Don. "Egypt's Coptic Christians: Caught Between Renewal and Persecution". Washington Report on Middle East Affairs (October/November 1997). Retrieved 28 June 2014. ↑ Morrow, Adam (24 April 2006). "EGYPT: Attacks Raise Fear of Religious Discord". Inter Press Service. Retrieved 28 June 2014. ↑ Chan, Kenneth (7 December 2004). "Thousands Protest Egypt's Neglect of Coptic Persecution". Christian Post. Retrieved 28 June 2014.